At the time of his death he was the 12th richest man in Japan, and Nintendo's second largest shareholder. 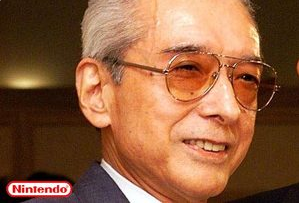 Hiroshi Yamauchi, the man who made Nintendo what it is today and Satoru Iwata's immediate predecessor, has died. He was 85 at the time of his death, and passed in hospital after a bout of pneumonia. A Nintendo spokesman said that the company was mourning for the "loss of the former Nintendo president Mr Hiroshi Yamauchi, who sadly passed away this morning." Industry leaders were saddened by the news, many echoing Ian Livingstone of Games Workshop's plaudit, that Yamauchi was "a true visionary." Yamauchi was the man who took Nintendo from next to nothing to riches. His grandfather, after suffering a stroke, brought him in when he was only 22, to run the company. Yamauchi insisted on being the only family member working at Nintendo - it meant firing his cousin - and he rode out a strike early in his career by firing long-time employees who questioned his authority. Clearly, even at 22, he had what it took to be the boss, but it would need something altogether different to transform a lowly playing card manufacturer into a major player, particularly since - as Yamauchi soon realized - playing cards were never going to be big business. By the 1960s Nintendo was a toy maker, and soon after that it moved into electronic gaming. Arcades were becoming the next big thing, and Nintendo's Donkey Kong became classic arcade's biggest star. That paved the way for the Nintendo we know today, and Yamauchi was the man in charge throughout. When he stepped down in 2002, he'd seen it all, from playing cards to GameCubes, arcades, Super Mario and Shigeru Miyamoto. He was Nintendo, and Nintendo was Yamauchi. While he remained on the Board of Directors until 2005, that was his last link with the company he'd built. At the time of his death, he was Nintendo's second largest shareholder, and Japan's 12th richest man.